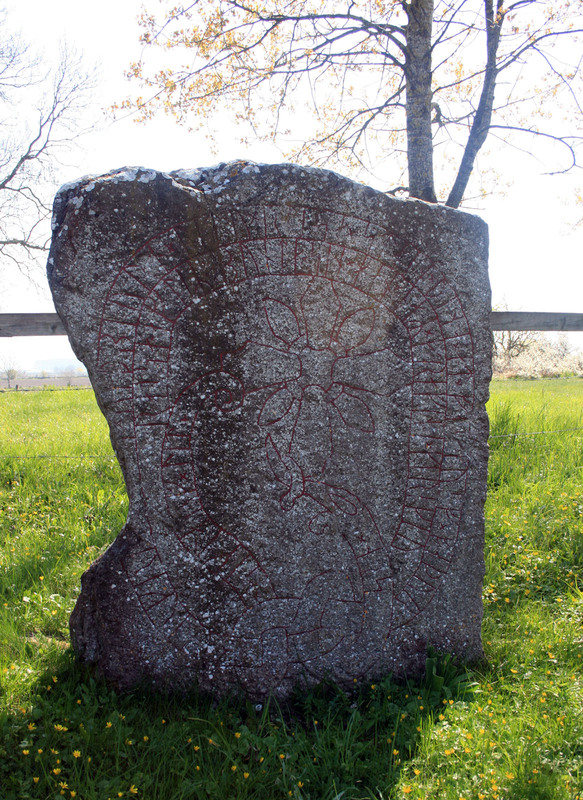 Translation – ‘Härfria and Vidbjörn allowed to be raised the stone after Fastulv, their father. Siglaug allowed to be raised after her husband. He is buried in the church. Info – The stone was carved in 1000 AD.